What you are about to see below is pure fiction. The names have been changed to protect the innocent and screw up an American trying to educate themselves about French Wines. American Jug Wines with names that say Chablis, or Hearty Burgundy do nothing but confuse the already confused American Wine Consumer. 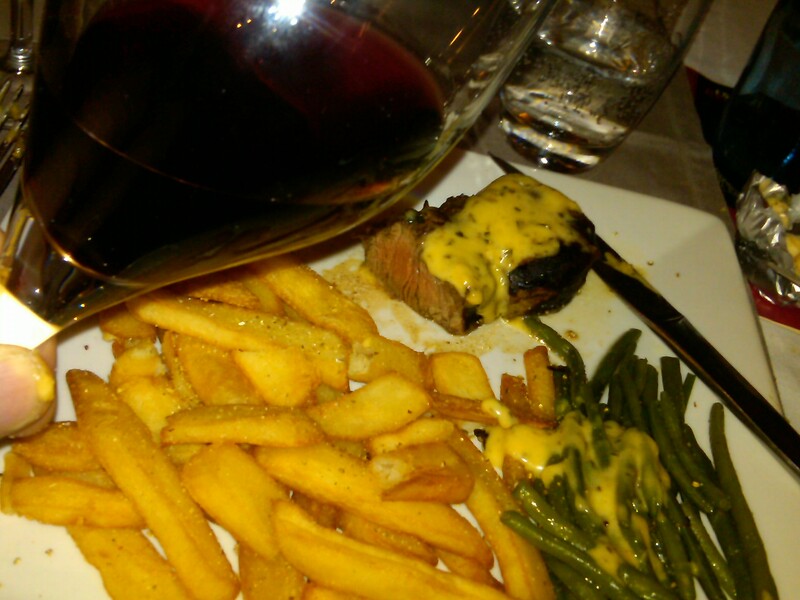 Burgundy is not a grape varietal like Merlot or Cabernet Sauvignon. Burgundy is a REGION in France. Just like any other Region in the world, there are different, towns, cities or villages in that REGION. Chablis is not a grape variety either. It is one of the many well known villages in the REGION of Burgundy. Is this more confusing? Don’t blame me. Blame all these Box Wine and Jug Wine companies, naming American Wines after Regions and Villages in France. One thing to simplify the confusion is that in the Burgundy Region Of France, it doesn’t matter what village name it says on the bottle, if the color of the wine is White and it comes from Burgundy 99% of the time you are drinking Chardonnay. If the color of the wine is Red and it comes from the Region of Burgundy, it doesn’t matter the name of the village the wine was produced in, 99% of the time you are drinking Pinot Noir. So in summation, White Burgundy is Chardonnay and Red Burgundy is Pinot Noir. Now if you are not a Chardonnay fan or on the red side not a Pinot Noir Fan I can guarantee you in one trip to the Region of Burgundy, France and it will all make sense. I was fortunate to do just that one week ago. 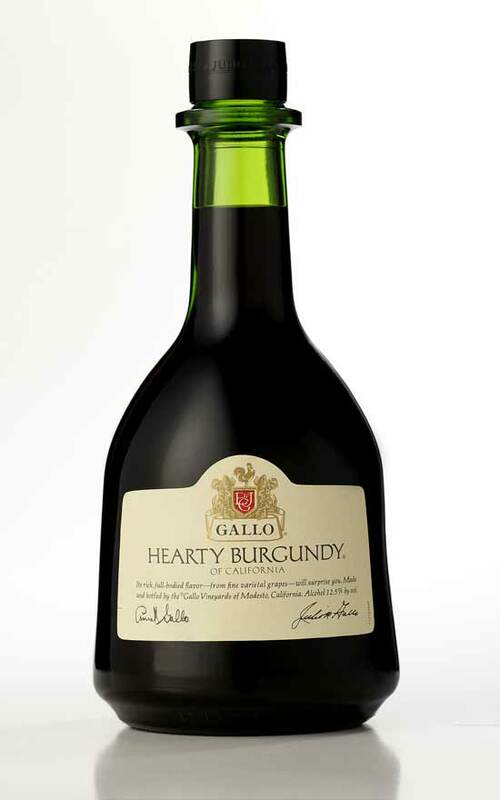 First a GLOSSARY of terms often used in French Wines especially in the Burgundy Region. 1- CRU = Growth. In Burgundy. These are vineyards in certain villages that are designated as a higher quality level of vineyard for growing grapes. There are just wines from the Village then the next level of quality comes from the Premier CRU and in certain areas the highest level is GRAND CRU. 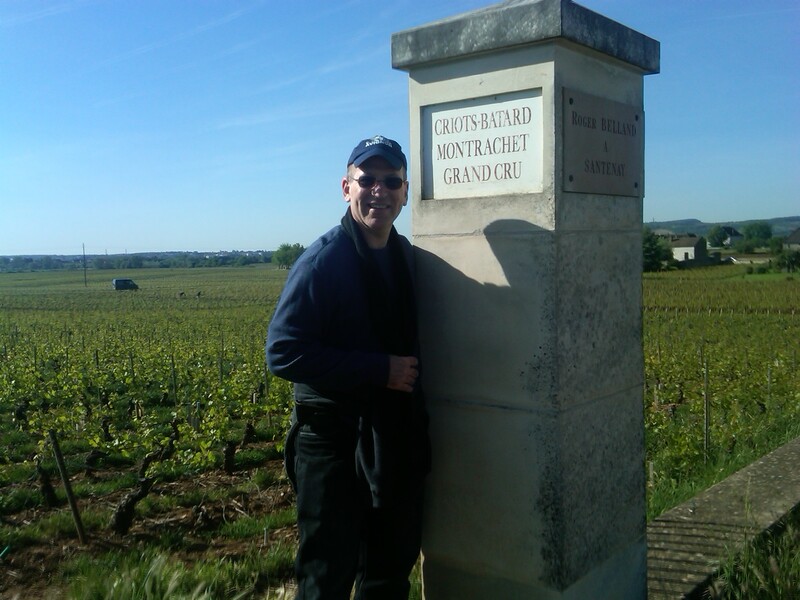 That’s me above in my trying to look non American (Fat Chance) look, standing in front of Criots-Batard Montrachet GRAND CRU Vineyard 2-CLOS= An Enclosed Vineyard. In Order to be a CLOS you have to have a Wall Surrounding the Vineyard. F.Y.I. this does not apply to the popular California Brand Name Clos Du Bois. Check out the picture below. See a CLOS is a Wall. So on your bottle of Pouilly Fuisse it might say “Clos Ressier” Which is the name of the enclosed or CLOS vineyard in the VILLAGE of Pouilly Fuisse in the REGION of Burgundy France where we are drinking 100% What grape? If you are getting this…Chardonnay. At the Cave de Chaintre I tasted the 2010 Pouilly Fuisse Clos Reisser Vineyard which is one of the oldest vineyards in the village of Pouilly Fuisse. I love this wine for it’s fresh fruit taste of Apples and Pears and a hint of citrus with just a hint of oak. 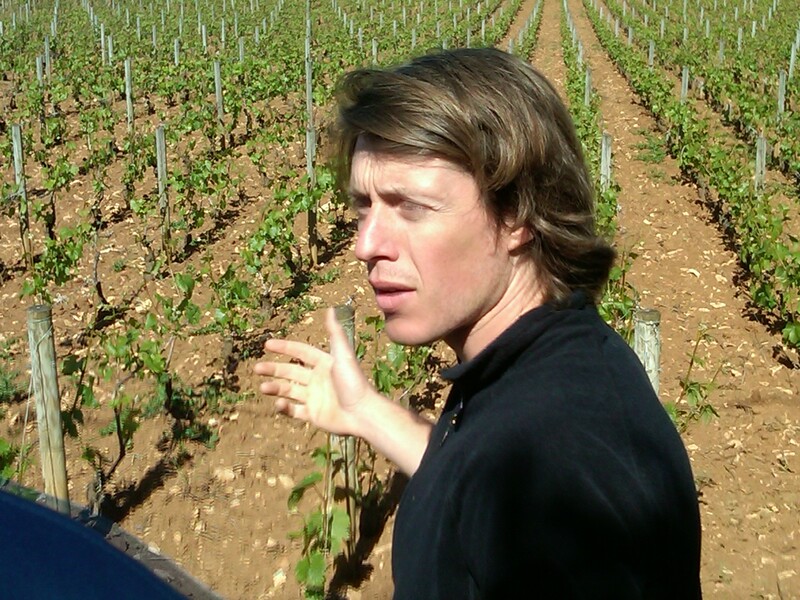 Check out Thierry Pillot the son of Paul Pillot from Domaine Pillot in his vineyard in Chassagne Montrachet. Have your eyes noticed something in common in the vineyards of Burgundy? I can certainly tell you it’s not your beautiful astroturf looking vineyard in Napa Valley. 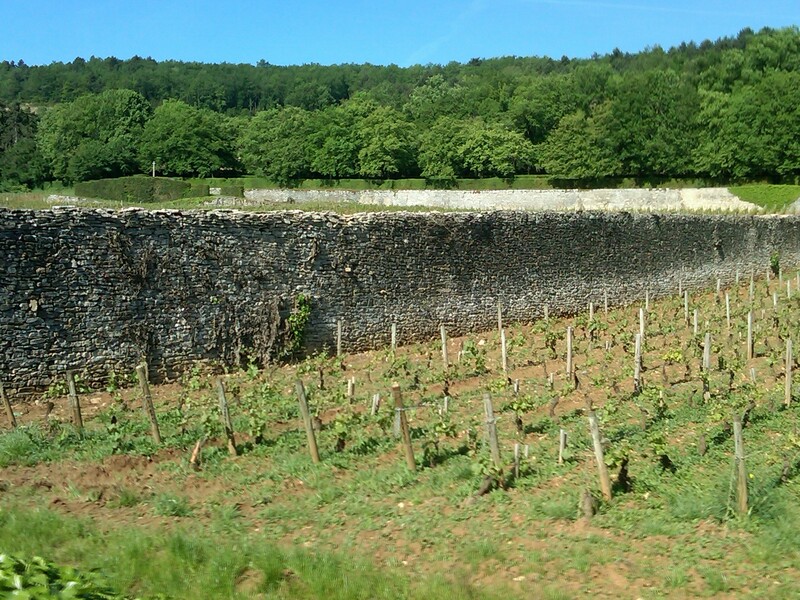 Burgundy is full of old stumpy thick vines, lots of clay and a whole bunch of limestone and rocks. During my visit, I was asking myself, how do they even grow anything in this soil. It is that very soil that makes wine from Burgundy so good. The minerality and the chalkiness from the limestone and rocks. The reds pick up that clay on the nose and palate. I am telling you Chardonnay haters, until you drink a White Burgundy or Chardonnay from Burgundy, France you haven’t even a clue how this grape varietal is supposed to taste. As far as the Reds, my blog readers know I love my Oregon Pinot Noirs but Burgundy has the one element that Oregon or Califonia doesn’t have, the limestone and the rocks or as the french call this environment “TERROIR”. The vineyards that are designated Premier Cru and Grand Cru are like small cemetery plots of land. You have to see this to understand so that you can justify why anyone in their right minds would spend hundreds of dollars on a Chardonnay or Pinot Noir just because it says GRAND CRU on the label. With that small parcel of vines, there isn’t that much to go around and that’s what demands the price and YES, it’s worth every penny. Now for a slight commercial break from Wine Talk to Food Talk. 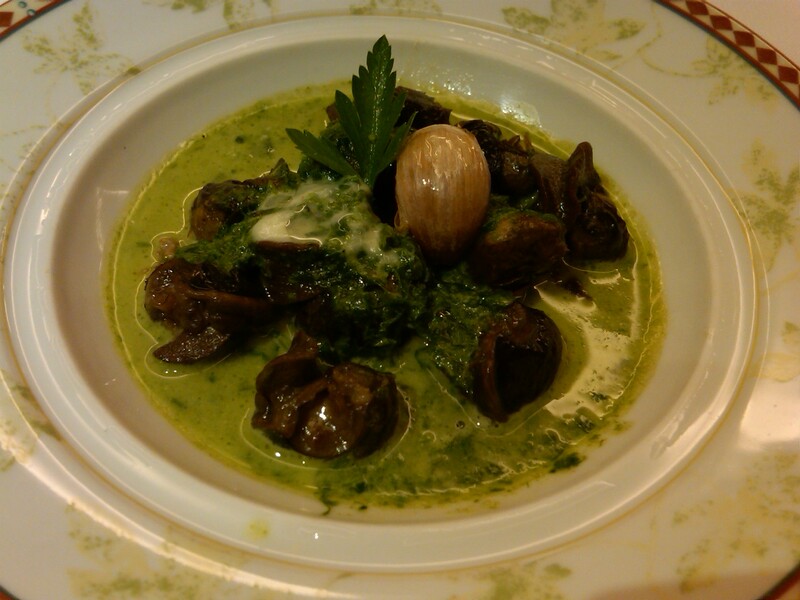 How can I write about my first trip to France without talking about Food…so here comes the food pictures. 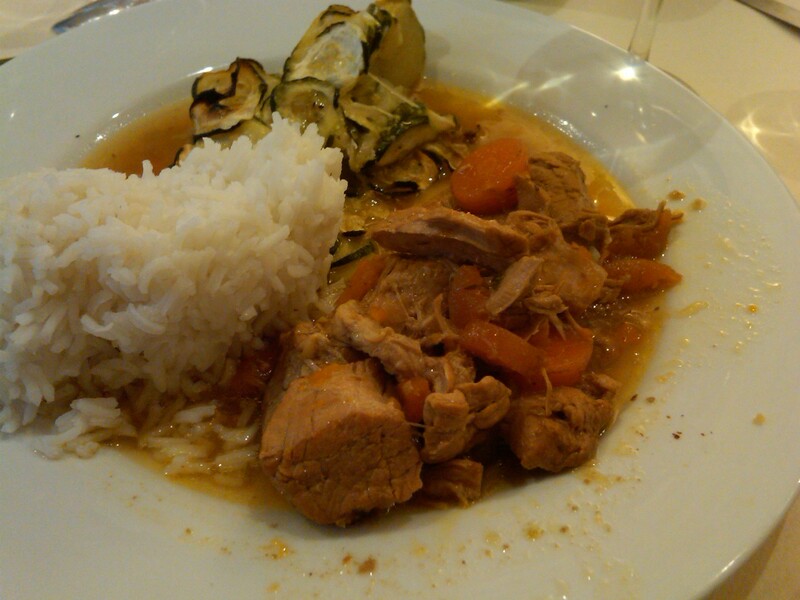 Homemade Veal Stew with Zucchini and Rice made by Anabelle Ballot from Domaine Ballot Millot. 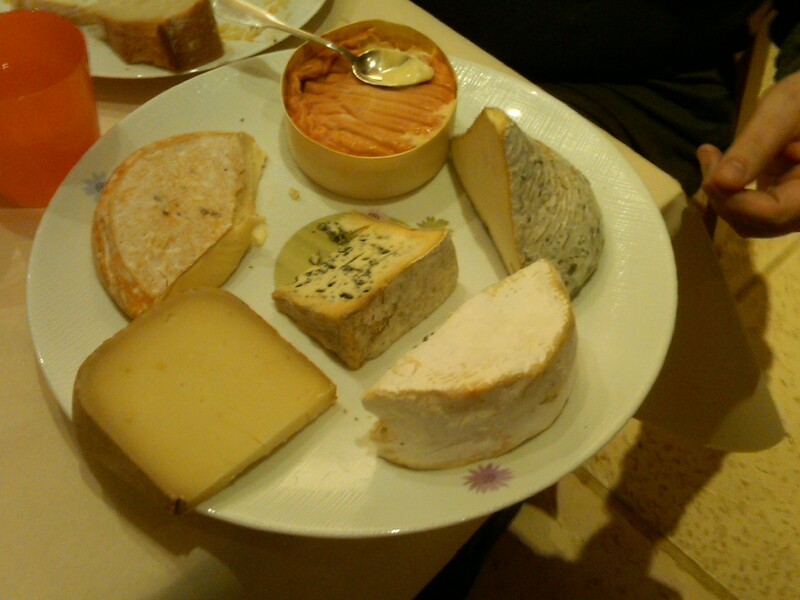 Cheese Course served after every single meal. Thank you Dannon Yogurt for introducing the world to Activia! Say Cheese again. 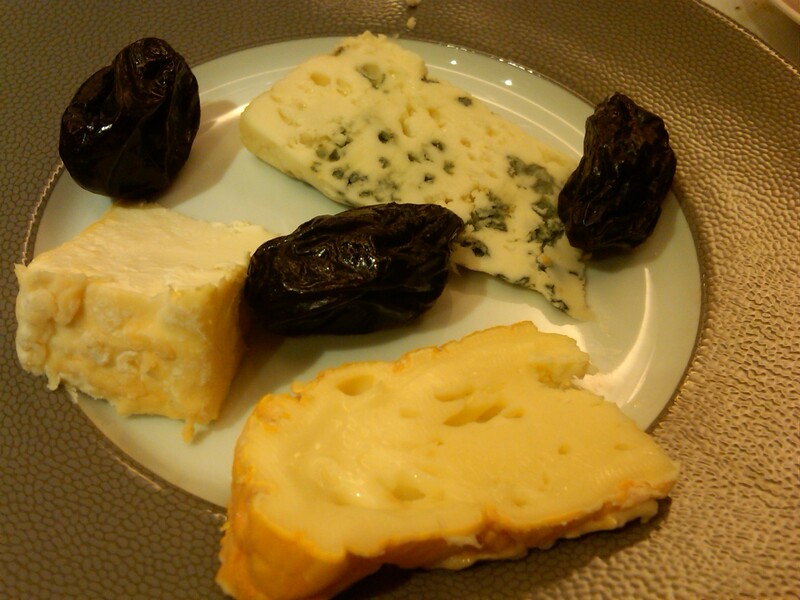 At least in Chablis they are smart enough to serve it with Dried Prunes and Dried Apricots! 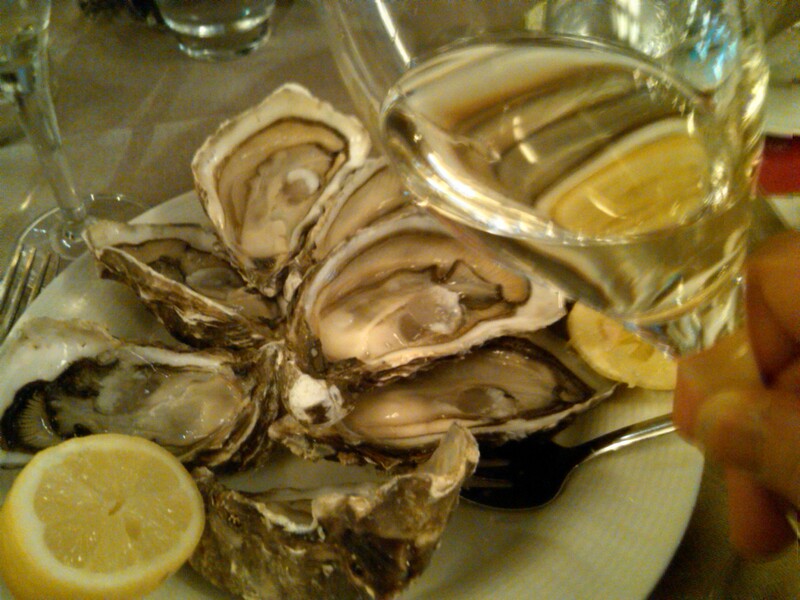 Freshly Shucked Cold Water Oysters from Normandy, France with a squeeze of lemon (No red cocktail sauce here) and a glass of Chablis..WOW! 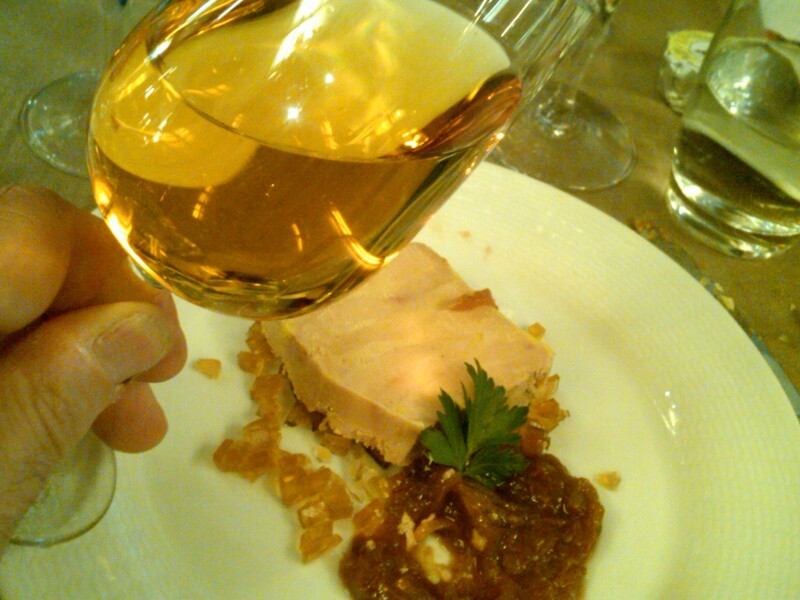 The Glass of Chablis is the perfect transition to one of my favorite 2 wineries on my journey. Chateau de La Maligny owned by Jean Paul Durup in Chablis. Above is just one part of his little condo lol. You could easily get lost on this unreal property. I think Chablis is such an important stop for anyone visiting Burgundy especially once again you Chardonnay Haters. Chablis is located in the Northern most part of Burgundy. Very few to none of the producers use any oak at all in their Chardonnays so the wines show off the pure flavors of grape without any of that vanilla oak bomb heaviness found in American Chardonnay. Most importantly is the terroir here is made up of Kimmeridge clay with outcrops of a chalk layer and soil which is composed of limestone, clay and fossilized oyster shells. Chablis winemakers like Jean Paul Durup want to emphasize the Terroir of the calcareous soil being the most important factor that gives the acidity and minerality that is so special about the wines from this area. 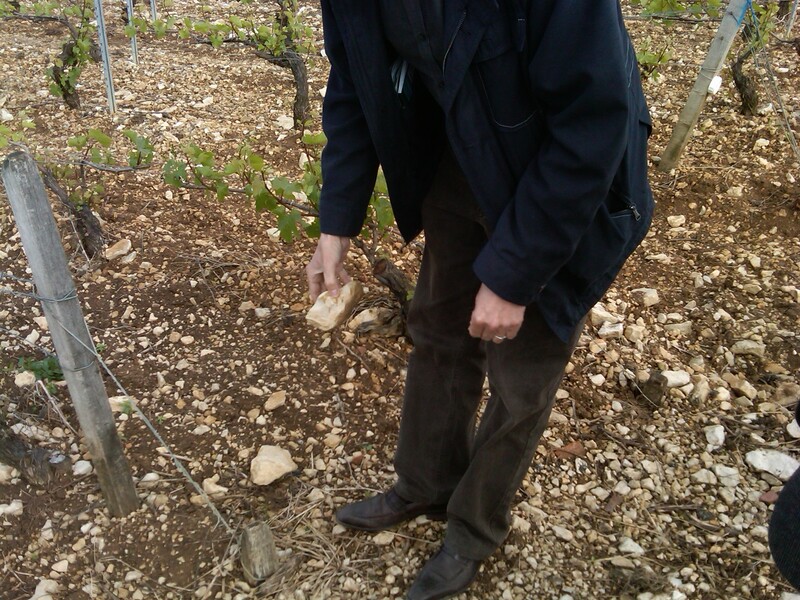 Mr Durup showing us the unique Terroir of Chablis. Talk about getting your ROCKS off!! Chardonnay in it’s purest form and because of the acidity and the freshness and the minerality, you get a perfect pairing for those Oysters I had from Normandy. Last but certainly not least, I wanted to mention a winery in the Nuits St. Georges area that I personally thought provide that best quality to price ratio of Pinot Noirs on the trip. Domaine R Dubois & Fils. Above I am drinking some great Red Burgundy with Raphael Dubois and below that is a very talented winemaker Beatrice Dubois. Raphael was not like most of the Burgundy producers with a little bit of a chip on their shoulder. He and I discussed my Oregon Pinot Noirs. He knew about Archery Summitt and Argyle and Domaine Drouhin and had nothing but positive things to say about Oregon Pinot Noir. From a Frenchman that’s a huge piece of humble pie. Once again we both agreed, the one thing they are missing there is the limestone and the terroir. Their wines were just like all the rest I tasted throughout Burgundy. 2009’s are drinking great right now. 2010’s especially the Premier Crus might go down as one of the classic vintages in Burgundy and will have more longevity for aging than 2009’s and the 2011’s that haven’t been finished yet or bottled, well the jury is still out but I am not very optimistic that it will be a great year. Beatrice and Raphael prepared a great lunch for us (Yes, Stinky Cheese Included as Usual..no PRUNES) and they whipped out a bottle of 1990 Premier Cru…WOW! 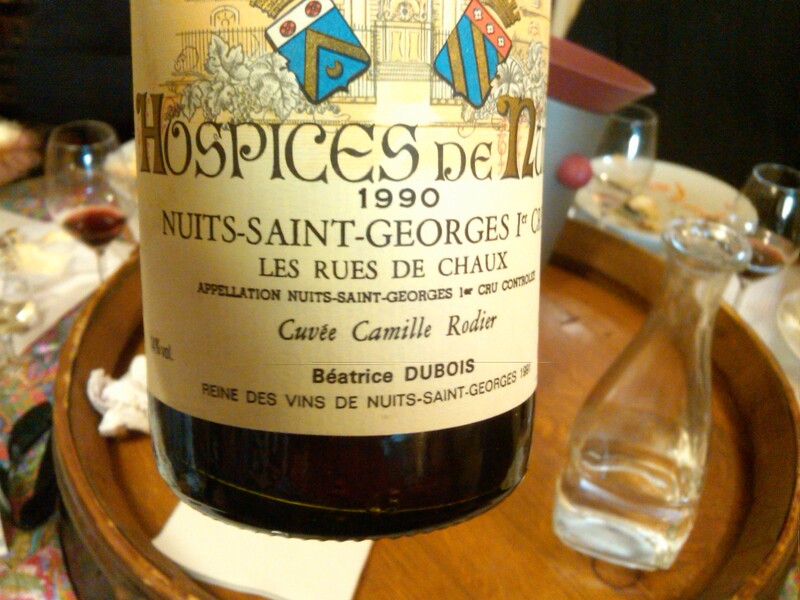 A Hospice de Nuits St George Premier Cru. These wines are produced to help benefit local hospices in the area. 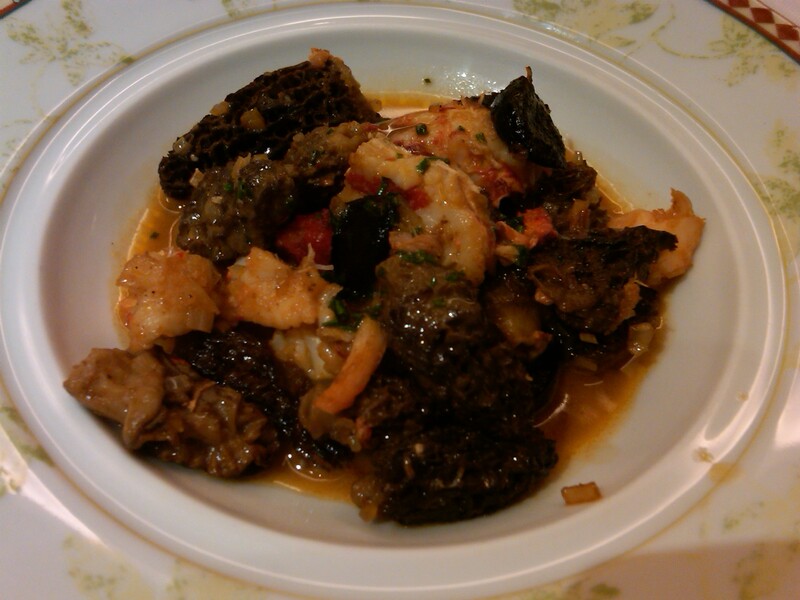 It certainly benefited me as the Pinot Noir was dark, deep and loaded with black fruits and ripe tannins. 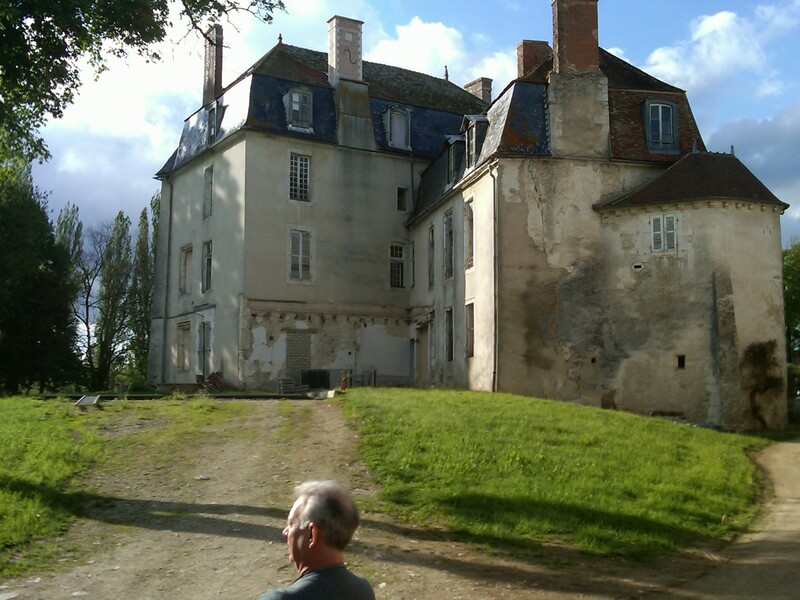 I wanted to mention an area known as the Jewel of the Cotes de Nuits, Clos De Vougeot. We tried a 2010 and like all the others they are gonna be great with some aging. It brings up a valid point that I discussed with the winemaker Beatrice. 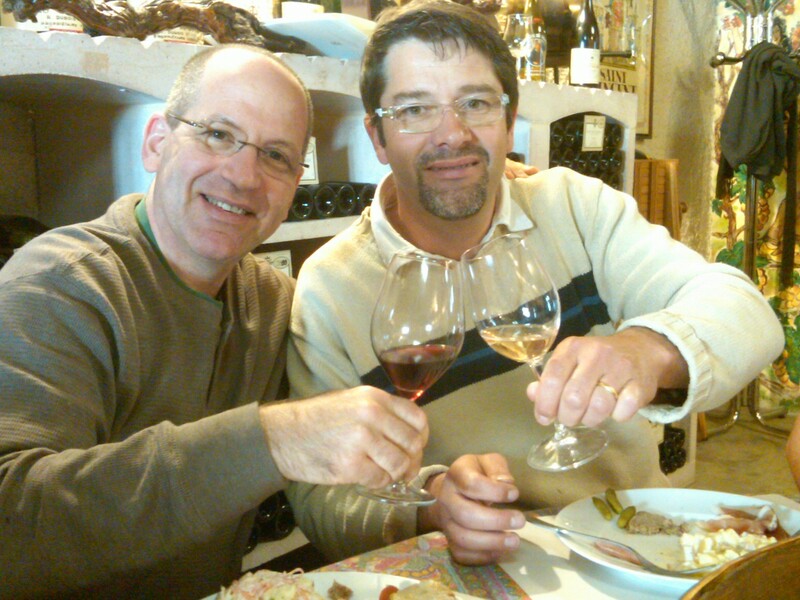 How can any reviewer including myself rate a 2010 Clos De Vougeot? These are not Pinot Noirs for a House Pour at a local Restaurant. I asked Beatrice what she thought of the 2010 and she candidly said, “Ask me again in 15 years”. We were then treated for comparison to a 1998 Clos de Vougeot. Now, I see her point. That wine was one of the best Pinots I have tasted in years but I wouldn’t have known that when back in 1999 or 2000. As I always say, there are wines for different purposes. Some for drinking tonight and some for drinking 5-10 years out. I didn’t want to leave Domaine R Dubois & Fils out of this blog because you can purchase their Village Nuits Saint Georges Wine in the $30 Price Range. With Pinot Noir prices being so high since the movie Sideways in 2004, I have spent that on many American Pinot Noirs and then some. I don’t care who the producer is in America. If I can get a Red Burgundy from Nuits Saint Georges for the same price or even less than an American made Pinot Noir without the Terroir, it’s a no brainer. R Dubois & Fils is Value Driven Quality Wines. After a day in Paris seeing the sights it was time to go home to South Florida. That’s the only negative thing I can say about my visit to France is that you have to go home. 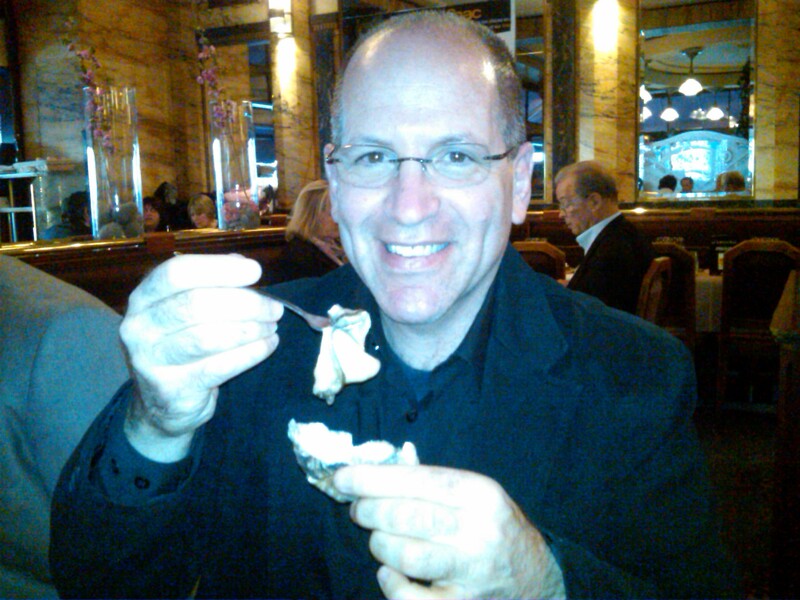 ALWAYS TIME FOR ONE LAST OYSTER!!!!! 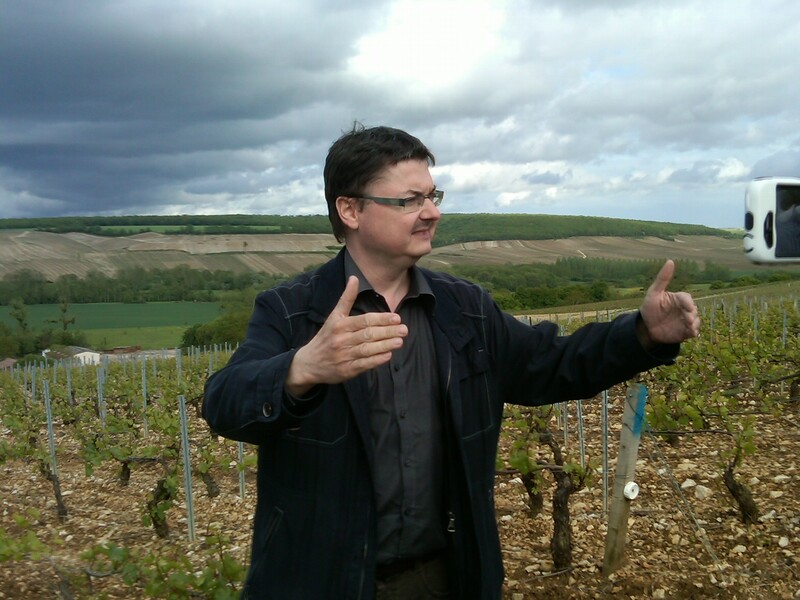 It’s hard for a Sommelier to pass the message along to my blog readers how special wines from Burgundy are. On the flight home operated by a Kentucky based Delta Airlines crew, I ran into the world’s best flight attendant. Just what you need for a long plane ride home after a week of long days tasting wines and jet lag. Her name is Danielle. She helped me find a place for my carry-on luggage up in the front of the cabin as it wouldn’t fit in the overhead bin. She did it all with the warmest of smiles and the friendliest of laughs. 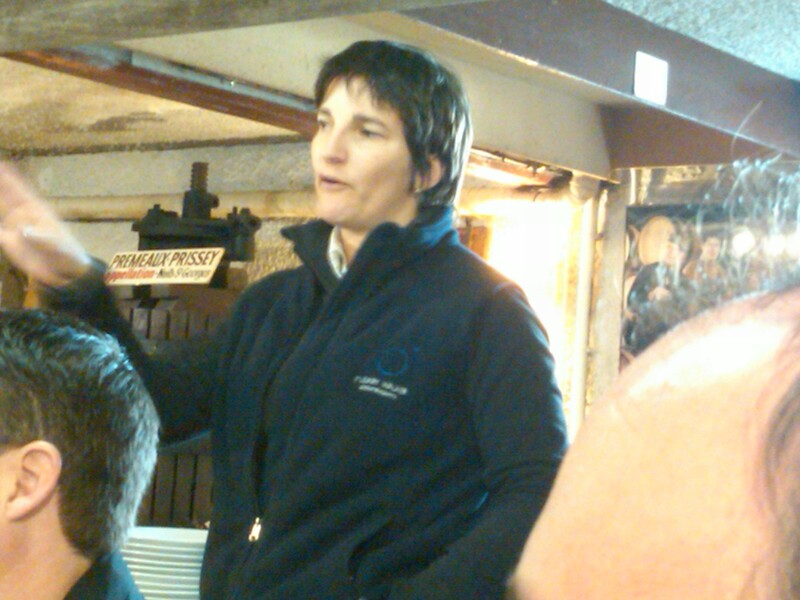 More importantly when telling Danielle that I was in the Wine Industry and visited Burgundy her story expressed the uniqueness of this special wine producing region better than I could. Danielle’s dad was a lover of White Burgundies. Her dad was diagnosed with an illness that would prevent him from drinking wines. She went to New York to one of the biggest Wine Shops around, Sherry Lehmann. She spent a hefty dollar to pick up one of their best White Burgundies just for her dad. Sure she could have gone to a local wine shop in Kentucky and got a Domestic Chardonnay but afterall it was her Dad. Before my trip I would have thought Danielle was out of her mind! You’re a good daughter Danielle. Thanks for the smiles and a great flight home but most of all, the story about your dad made me realize how I had just visited one of the most unique special wine producing regions in THE WORLD. Put Burgundy France on your Bucket list as well! PreviousTwo Young Women Producing Big Masculine Wines In Walla Walla!